Emerald is the the green variety of Beryl that has been colored by chromium and also the birthstone for May. The ancients appear to have obtained emeralds from Upper Egypt, where it is said to have been worked as early as 2000 bc. Greek miners were working the mines in the time of Alexander the Great, and later the mines yielded their gems to Cleopatra. Remains of extensive workings were discovered about 1817;“Cleopatra’s Mines” are situated in Jabal Sukayt and Jabal Zabārah near the Red Sea coast, east of Aswān. Today the two main producing deposits of gem quality emeralds are found in Columbia and Zambia. Many virtues were formerly ascribed to emeralds. When worn, the stone was held to be a preservative against epilepsy, and when held in the mouth it was believed to be a cure for dysentery. It was supposed to assist women at childbirth, to drive away evil spirits, and to preserve the chastity of the wearer. Administered internally, it was reputed to have great medicinal value. Its refreshing green color was said to be good for the eyesight. Emeralds typically contain inclusions that are visible to the unaided eye. Because of this, trade members and some consumers understand and accept the presence of inclusions in emeralds. Eye-clean emeralds are especially valuable because they’re so rare. Emerald inclusions are often described as looking mossy or garden-like. They’re sometimes called “jardin,” which is French for garden. Unfortunately, because the emerald is not only one of the most beautiful gemstones, but also one of the most valuable, there are innumerable synthetics and imitations. So how can you protect yourself from these ‘fakes’? Well, the best way is to buy from a specialist in whom you have confidence. 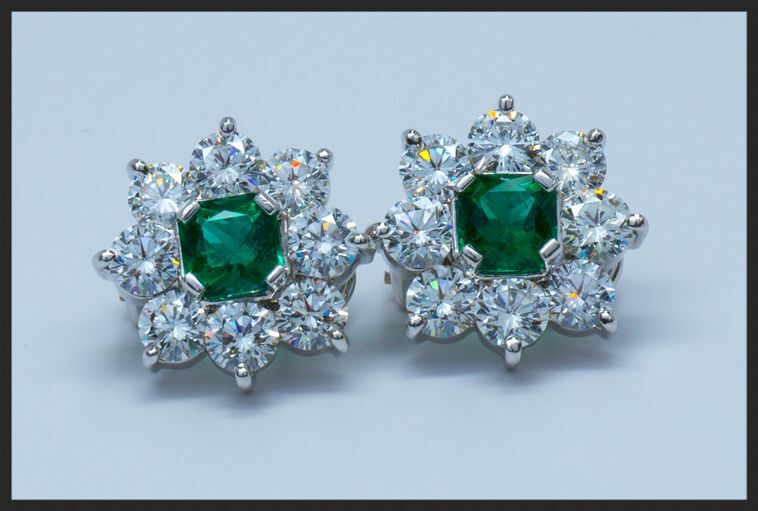 Here at Heileman & Company we have an extensive inventory of emerald jewelry. We can also source a loose emerald and created a custom piece just for you. Please contact us for more information.